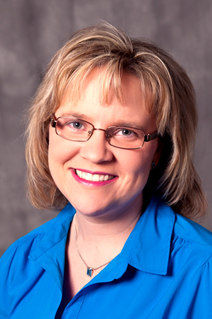 Cindy Aldrige has been a part of Lee’s Summit Physician’s Group since February 2012. She is board certified from the American Academy of Nurse Practitioner’s. Cindy had a very active and successful career in the medical field prior to completing her Nurse Practitioner degree and joining Lee’s Summit Physician’s Group Internal Medicine. Cindy had 10 years of experience as a licensed Emergency Medical Technician in Missouri actively working on an ambulance crew. She graduated from Research College of Nursing/Rockhurst College in 1997 with a Bachelor of Science in Nursing. She spent most of her career as a RN working in the Emergency Department, transitioning up to a leadership role as a Charge Nurse. Cindy then graduated from Research College of Nursing in 2011 with her Master’s of Science in Nursing becoming a licensed Family Nurse Practitioner. Cindy can take care of your healthcare needs including writing prescriptions, management of chronic diseases, and referrals when needed. Her specialties include urgent care issues and type 2 diabetes. She enjoys teaching patients about their various concerns and healthcare needs.